This has been a busy month for us. Things are humming right along on our kitchen demo. We finished pulling down the walls and ceiling, in the process carting off several thousand pounds of material to the dump. We also removed three layers of flooring. Our awesome electrician Steve came over and gave us pretty new lights; a huge improvement over the single florescent bulb that formerly ruled the kitchen. How do you keep a light-hearted blog going when horrible things are happening in the world? Here is a lovely response. Donald Trump wants American Muslims to have an ID card. First of all, wtf?! This guy had the perfect response. What is the juiciest secret you know? These people have some humdingers. Want more? Enjoy them here. Chris has had this funky video on repeat for so long. Yeah! Long live crazy Washington. What can I say, the moose motorbike is awesome. Another installment of I, anonymous. A baby dies in daycare and a mother asks why she had to leave him so soon. Australia to put down two million feral cats. This is why. Happy Thanksgiving, peeps. We have some much in this country to be grateful for. Hold your loved ones close and tell them you love them. Would love your drywall and electrician's info. if you recommend them! 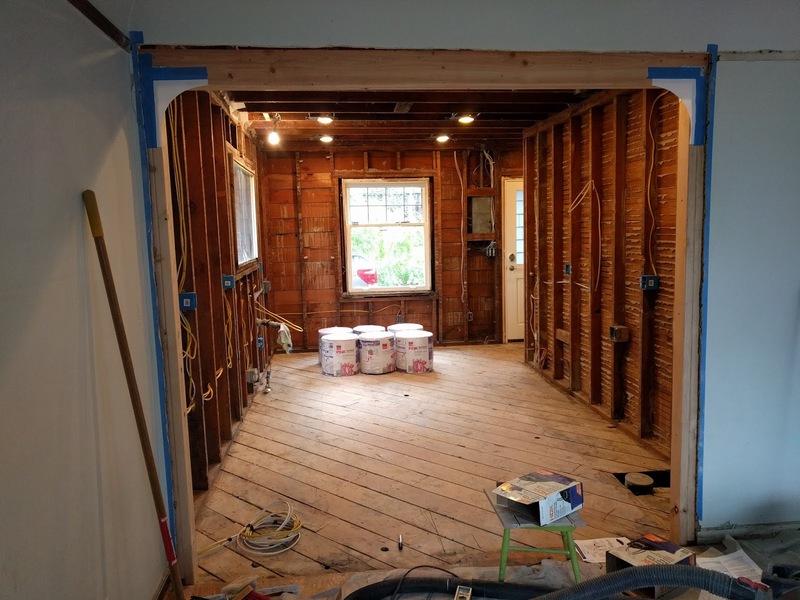 Working on some small house remodeling projects (we're on Beacon Hill in Seattle). Cheers!